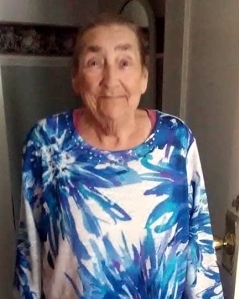 Opaline Martin Cardwell, age 86, of main street, Cadiz, passed away Monday at 11:30 AM on September 3, 2018, at her daughter’s home of natural causes. Funeral Services will be at 11:00 AM on Friday, September 7, 2018 at Maddux-Fuqua-Hinton Funeral Home. Burial will follow in Green Hill Memorial Gardens. Visitation will be on Thursday, September 6, 2018, from 6:00PM until 8:00 PM at Maddux-Fuqua-Hinton Funeral Home. Mrs. Cardwell was born in Butler Co., KY, on April 16, 1932, to the late Webster Porter “W.P.” Martin and Sarah Bell Cardwell. She was a homemaker. She is preceded in death by her husband, Elzie Junior Cardwell; her sons, Ray, David Charles and Alton Cardwell, and several brothers and sisters. Survivors include, her sons, O’Dell Cardwell and his wife, Cherri of Crofton, James Cardwell and his wife, Darlene of Hopkinsville, and Leon Cardwell and his wife, Aloah of Hopkinsville; her daughters, Eva Antee of Hopkinsville, and Lisa Vernon and her husband, Frank of Cadiz; twenty-five grandchildren, forty-two great grandchildren and many great-great grandchildren; several brother and sisters.